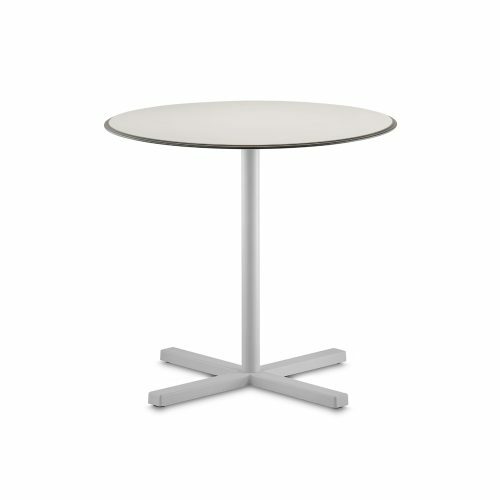 Inox square table base family, with stainless steel base and tempered glass top. Available in for coffee, dining and poseur tables. 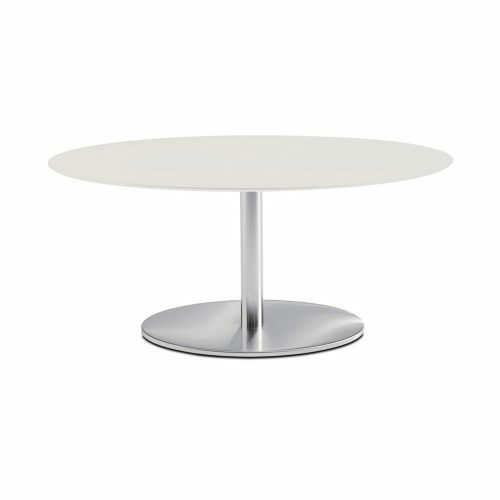 Inox round table base family, with stainless steel base and tempered glass top. Available in for coffee, dining and poseur tables. 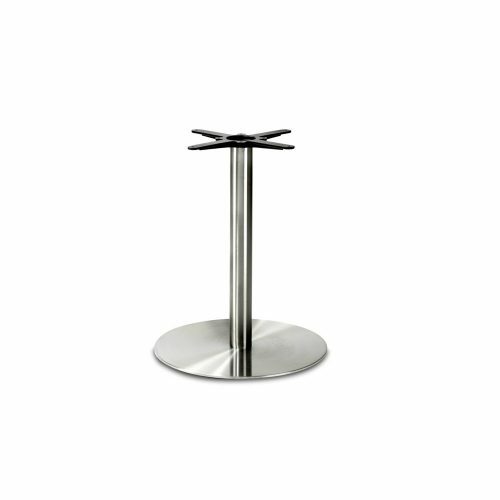 Elliptical Inox with brushed stainless steel base. Also available in coffee table version height. 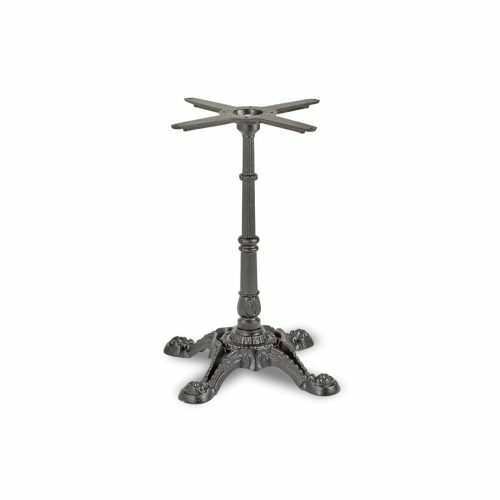 Dream table bases have sand-blasted cast iron bases and steel tube columns. The bases are powder coated. 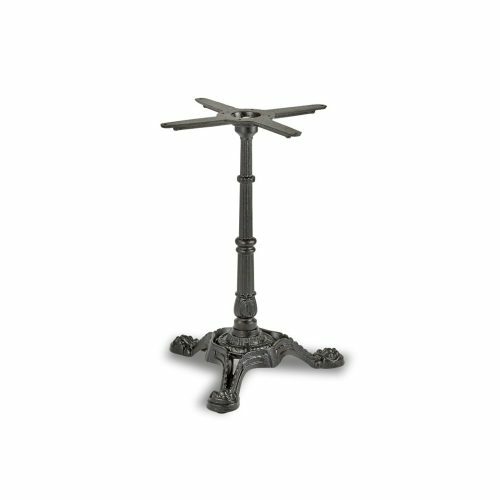 Bold table base has a cast iron base and a tube column. 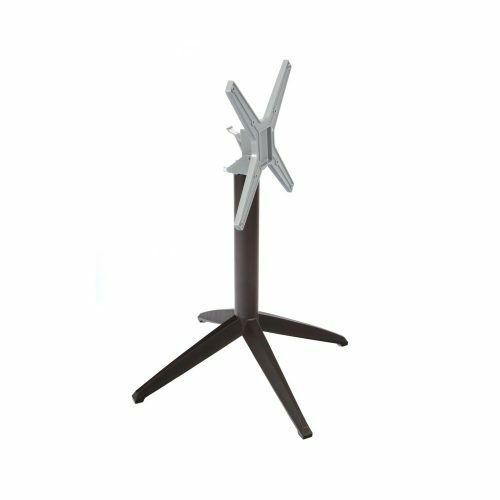 It is powder-coated and available in multiple colours. Tops sold separately. 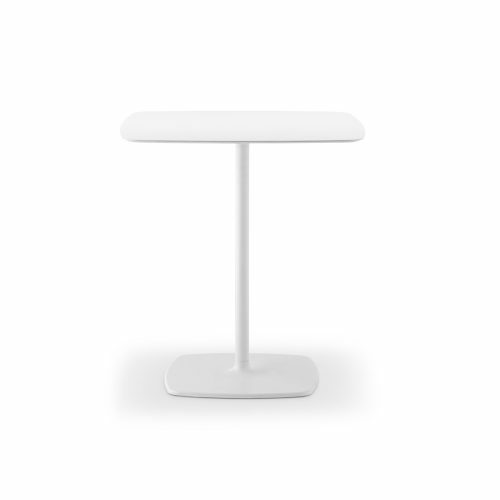 The minimalistic Stylus collection features two shapes; rounded corner square base and a round base. Both bases are very stable. 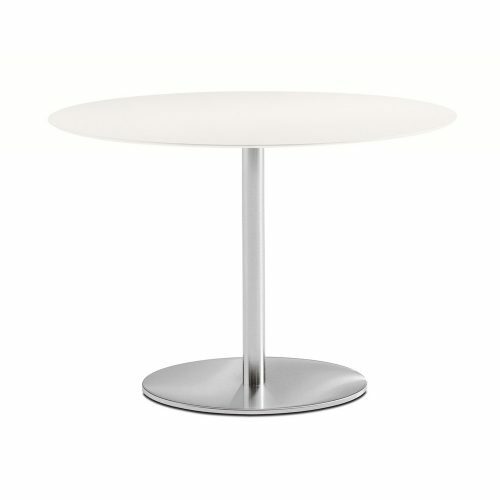 Suitable for both round and square table tops. Tops sold separately. 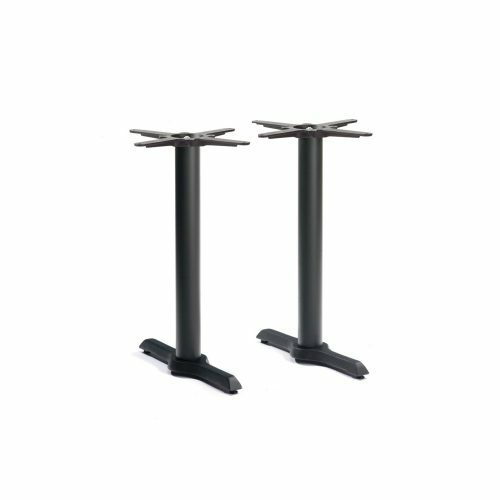 The industrial look table bases feature either a four or three tube steel legs in rectangular section. They can be matched with tabletops of different sizes and finishes. Tops sold separately. 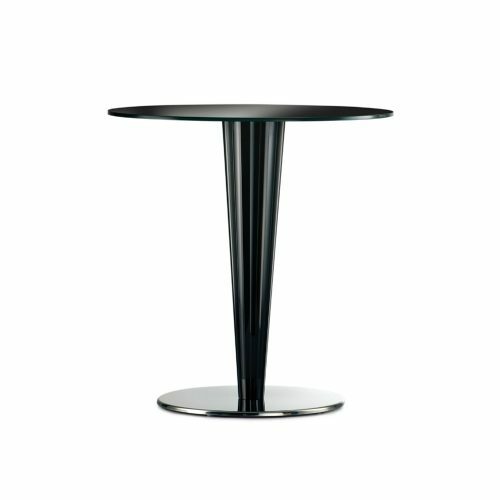 The Linea table base is a stylish base with the option of a wooden or metal column in a variety of finishes. 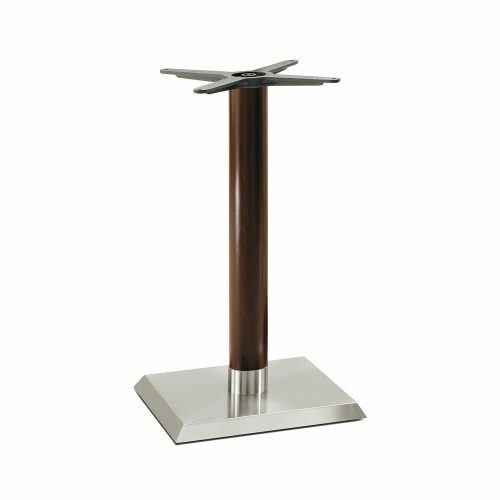 The wooden column versions have a beautiful steel collar connecting the wood with the steel base. 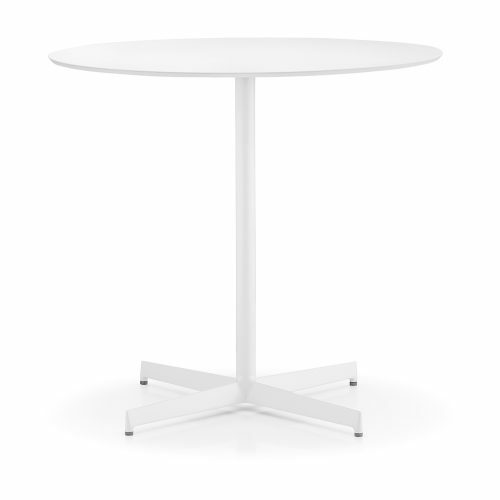 The Laja collection features a 4 spoke base design. 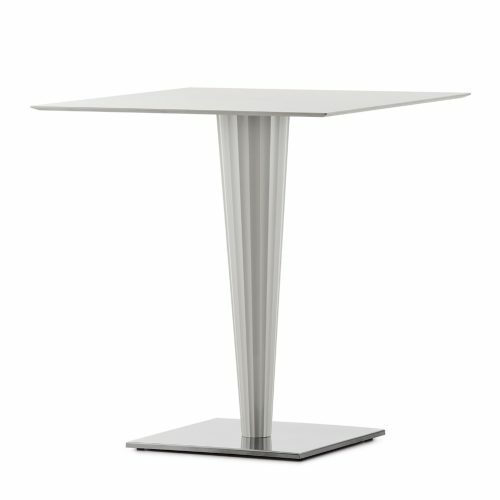 The collection has a steel tube column and a die casted aluminium base suitable for both indoor and outdoor use. Tops sold separately. 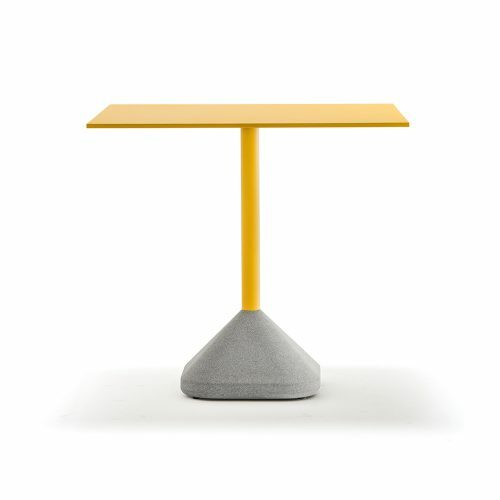 Concrete provides a steady and durable table base. 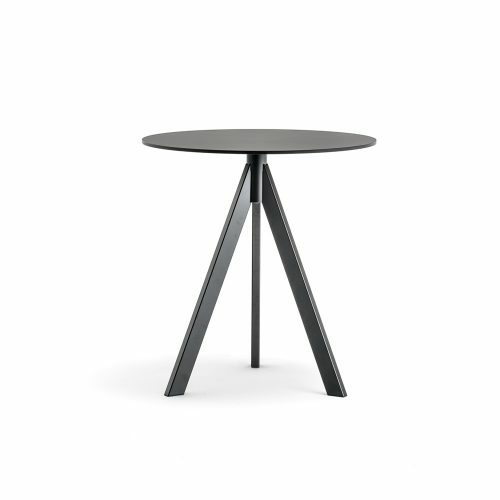 This outdoor table has a steel column and a fine grain concrete base plate. 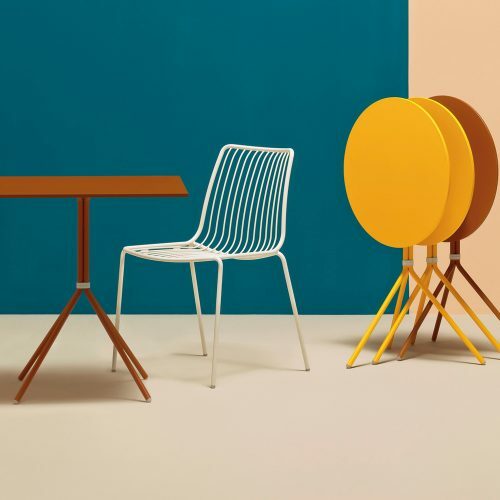 It can be matched with tabletops of different sizes and finishes. Tops sold separately. 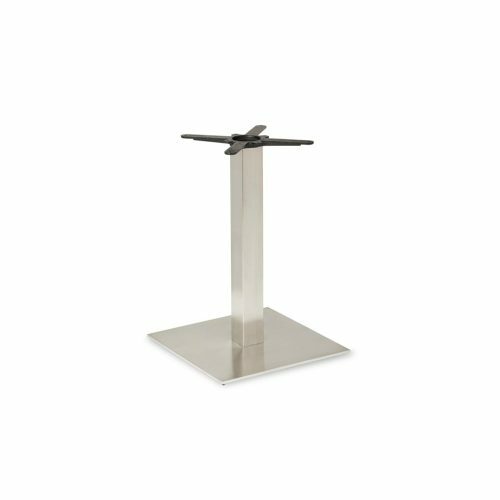 The Zenith base collection has a stainless steel column and base with cast aluminium adjustable feet. 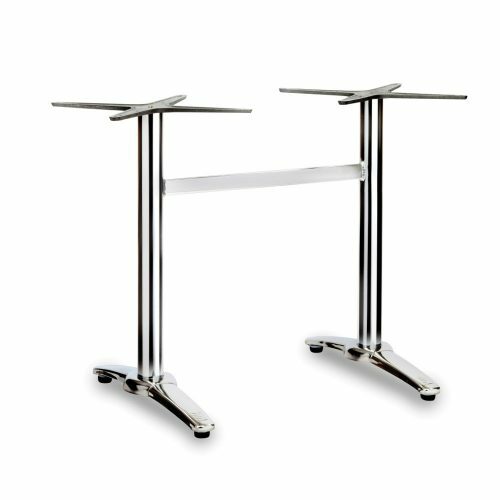 Twin stainless steel bases are also available. Tops sold separately. The Krystal base collection has a methacrylate column with 3 available finishes; transparent, shiny black or shiny white. An internal steel core gives resistance and stability. 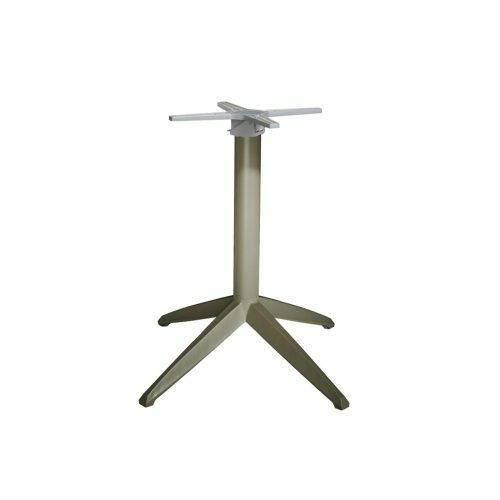 The base plate in stainless steel can feature a brushed or polished finish. Tops sold separately. 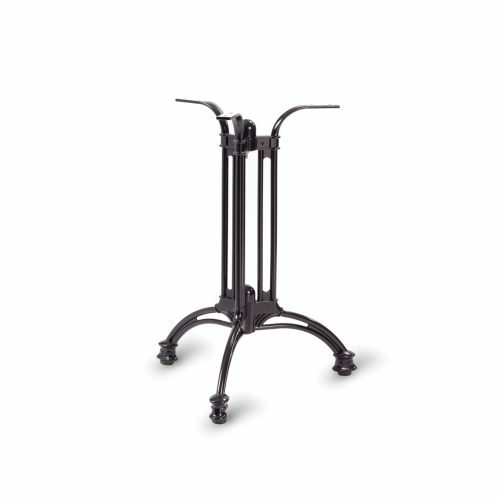 The Ypsilon base collection is one of our most popular bases due to the contemporary style with 3 or 4 legs. 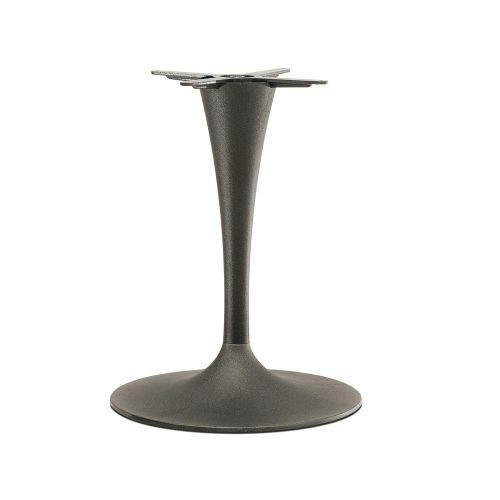 The base is available in a variety of finishes, some of which are suitable for outdoor use. There are also a flip top and glass top fixing options. Tops sold separately. 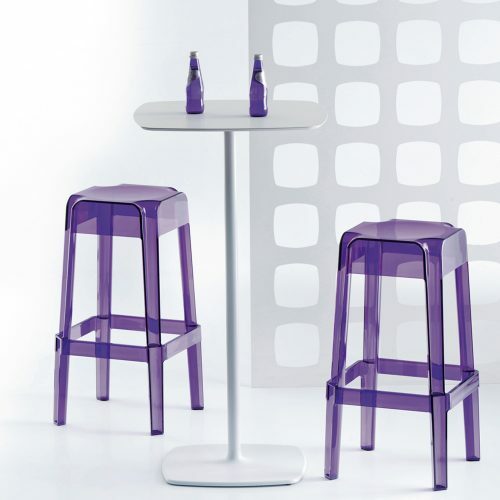 The Nolita table base is made from steel tube to ensure it's strength and durability. 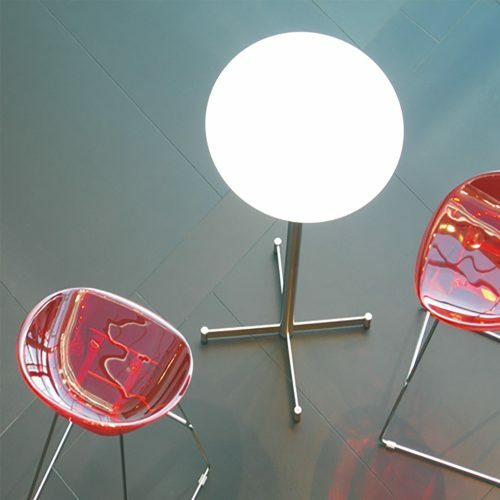 Light and easy to handle, it can be combined with tops of different sizes and finishes. 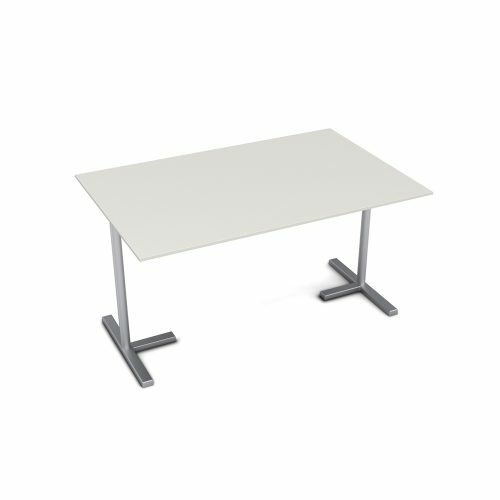 When combined with a compact laminate top, it is suitable for outdoor use. The 3 leg version comes with a flip top for ease of storage. Top sold separately. 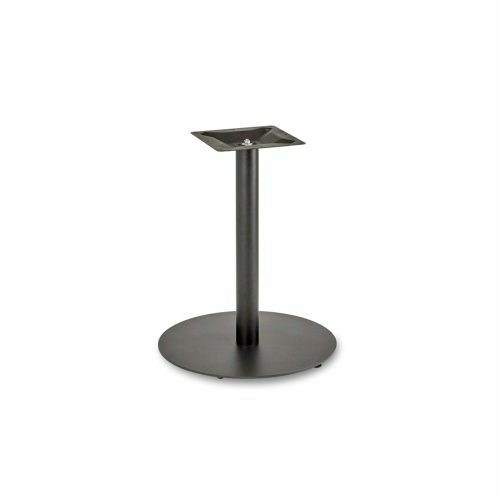 The Continental range of table bases are suitable for outdoor use and finished in black EPC. 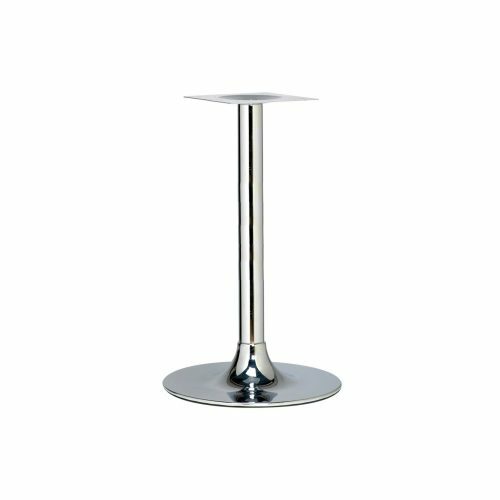 Suitable for use with our range of outdoor table tops. 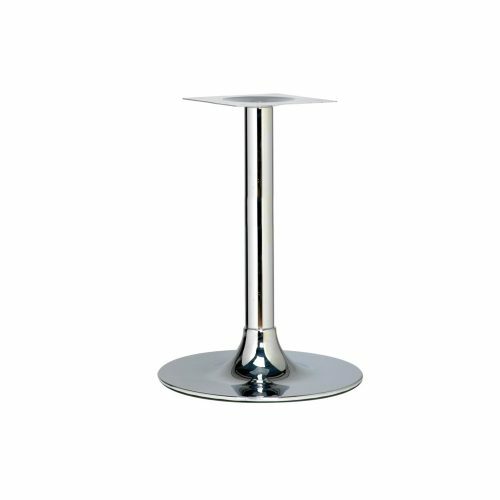 The Fresh table bases are suitable for outdoor use and finished in polished aluminium. 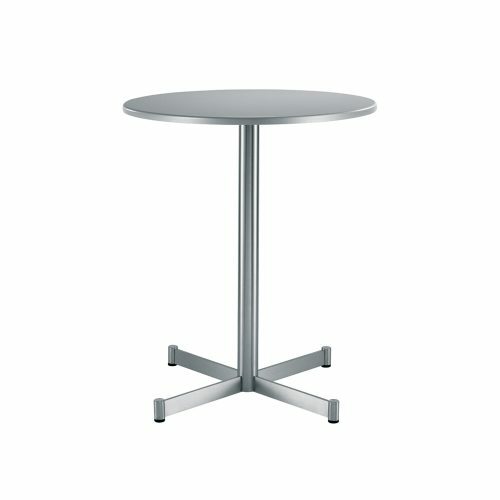 Suitable for use with our range of outdoor table tops. 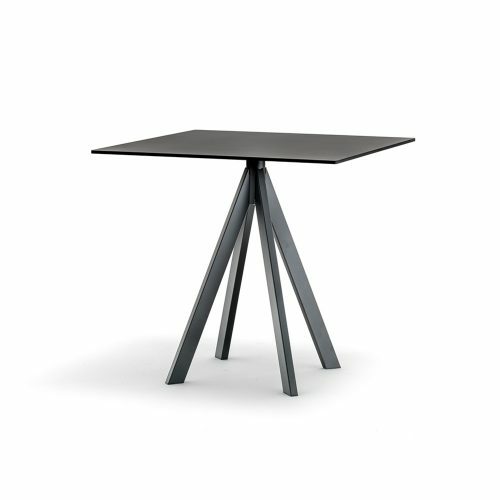 The Braga table base has a flip top mechanism which allows for ease of storage. 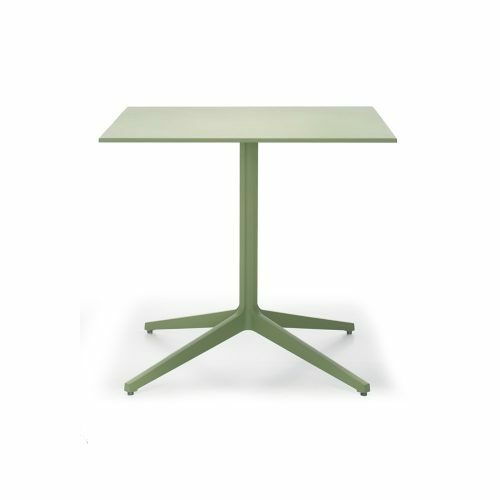 The bases are suitable for outdoor use with colours to complement our Compact Laminate table tops. 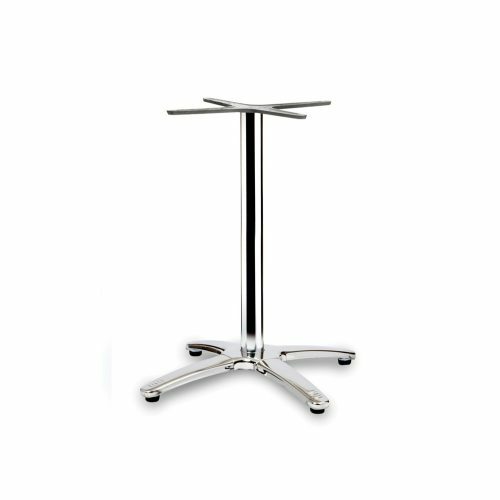 The Trumpet range of bases offers a contemporary style base in a chrome finish. 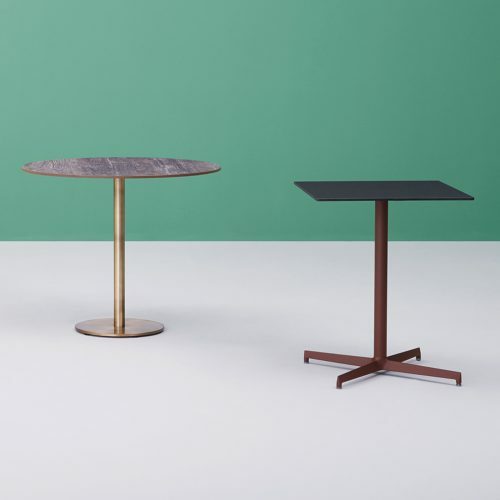 Complete the table with one of the tops from our 'Table Tops' collection. The Buxton range of bases are constructed from solid beech. 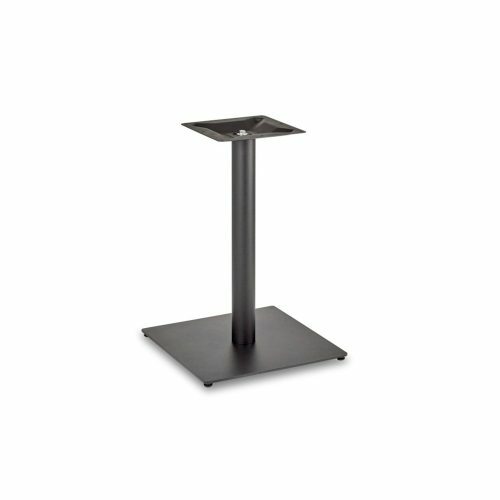 The base can be stained or painted to meet your specific project requirements. 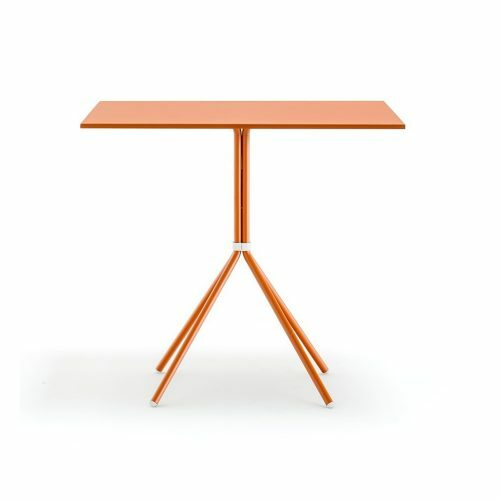 Complete the table with one of the tops from our 'Table Tops' collection. 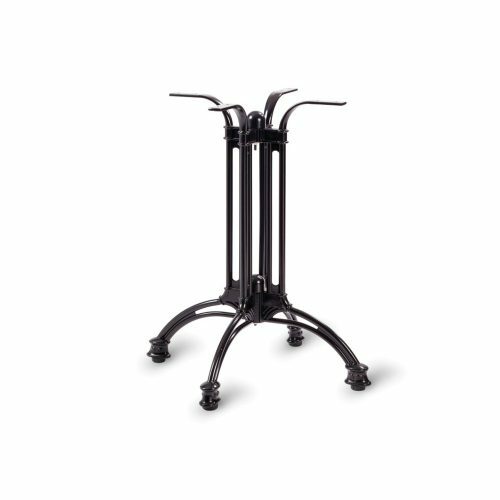 The Bistro range of bases offers a traditional style base with 3 and 4 leg options. The Southwold base has a black EPC finish. Complete the table with one of the tops from our 'Table Tops' collection. The Southwold range of bases are a popular base due to the fluted traditional design. The Southwold base has a black EPC finish. 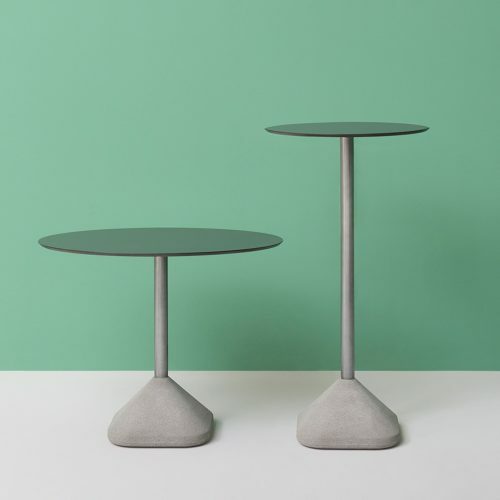 Complete the table with one of the tops from our 'Table Tops' collection. 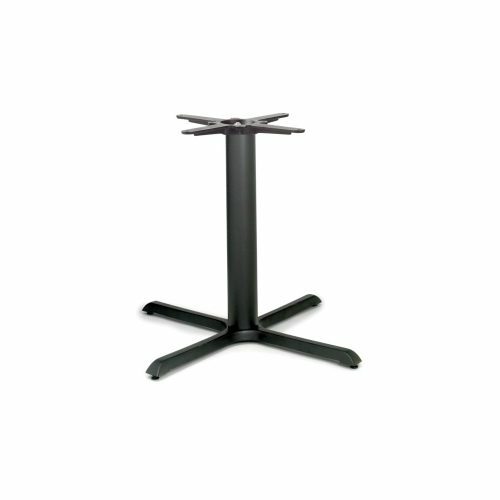 The Durham range of bases is a classic range of table bases available in a variety of sizes from stock. The Durham base has a black EPC finish. 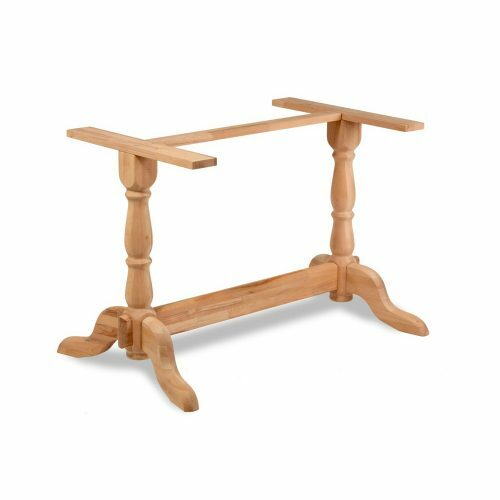 Complete the table with one of the tops from our 'Table Tops' collection. 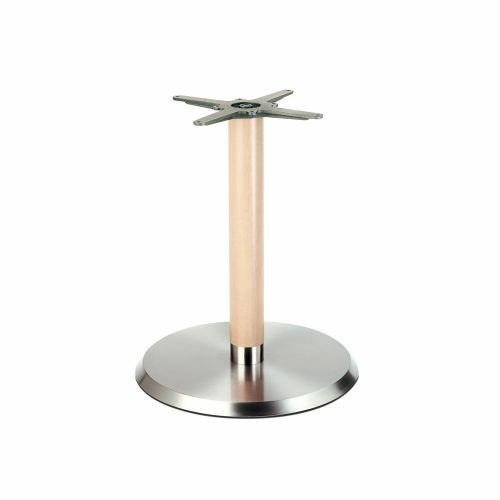 The Dome range of bases is a simple, cost effective pedestal base, availabile from stock. 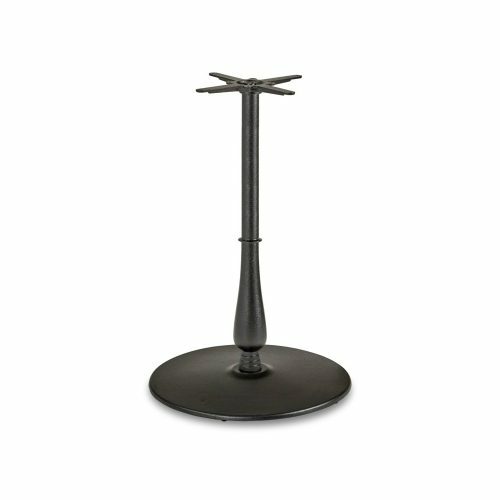 The Dome is a steel base with black EPC or chrome finish options. 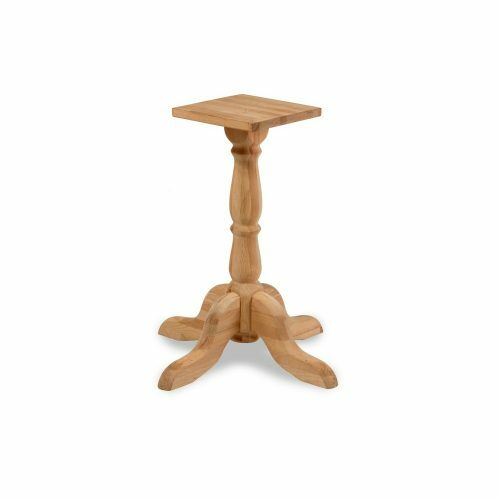 Complete the table with one of the tops from our 'Table Tops' collection. 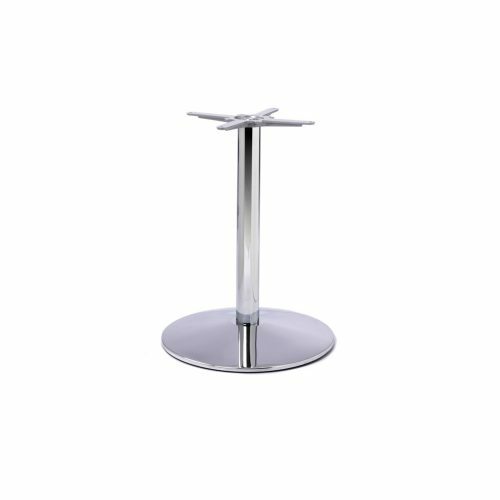 The Profile range of bases is our most popular table base due to it's simple design, sizes to suit a wide variety of top dimensions, economical price and availability from stock. 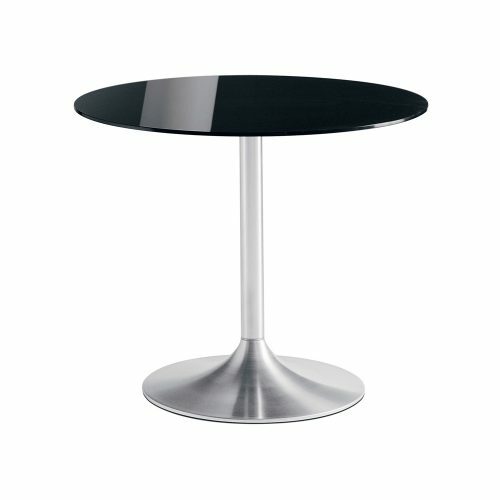 The Profile (SS) is a stainless steel base with a brushed finish. 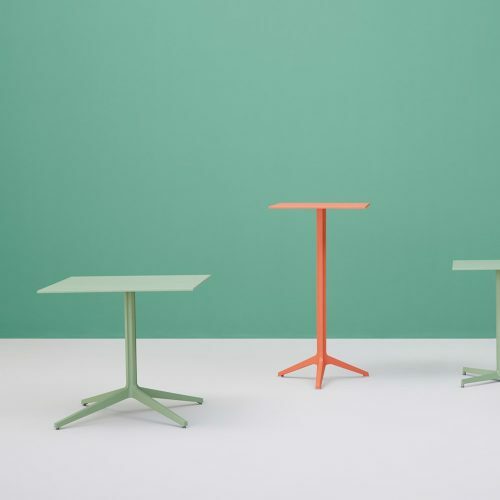 Complete the table with one of the tops from our 'Table Tops' collection. 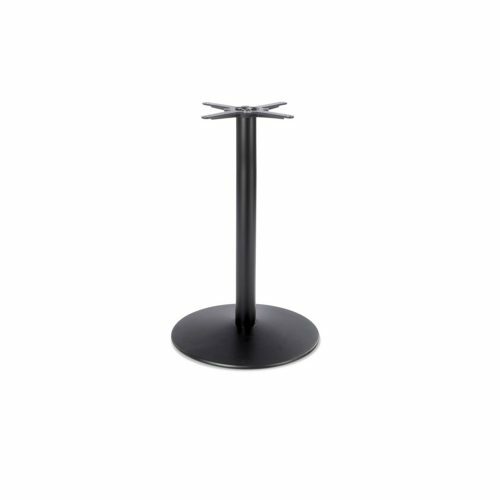 The Profile range of bases is our most popular table base due to it's simple design, sizes to suit a wide variety of top dimensions, economical price and availability from stock. 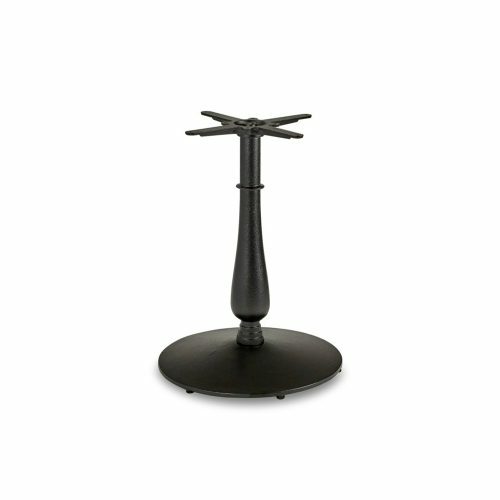 The Profile (Black) is a steel base with a black EPC finish. Complete the table with one of the tops from our 'Table Tops' collection.